As the name implies Chromatic Aberration bases it’s gameplay mechanics off the type of optical distortion of the same name. This distortion, which can also be referred to as chromatic distortion, is what happens when all wavelengths of color are unable to meet at the same focal plane. While in photography this might create blurred or colored edges the game takes this concept and warps it into a really cool, simple, and challenging platformer. Aliens have chosen you, the last hope of the human race, to prove your worth and show that humanity is indeed worth saving. 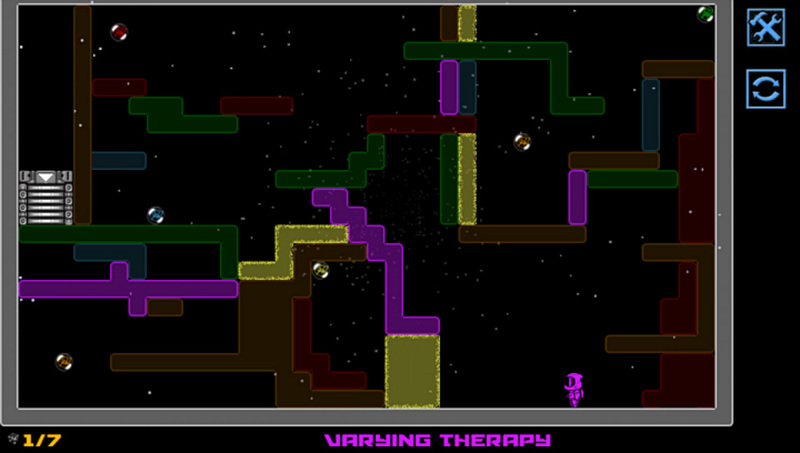 To do this you need to collect all tesseracts in each level to open the exit. Collecting tesseracts will shift different colors into the same “focal plane” while also shifting your own color. For example collecting a purple tesseract will bring forth purple and it’s complimentary color yellow as platforms/hazards while turning your character purple. Your color signifies what platforms you can land on and of course the complimentary color, which has blurred edges, signifies what you should avoid. With the layouts of platforms shifting with every tesseract collected it’s vital that you think ahead. There are many instances where you’ll need to quickly move in a different direction once you collect the tesseract to avoid dying once the colors shift. Just as well many stages might seem open to allow you to choose your own order when in reality you might find yourself stuck if you choose the wrong tesseract first. You have to look at the positions of the colors in the background and consider where you’ll be in relation to them once a chromatic shift happens. The result is a challenging platformer that proves to be a lot of fun. While I don’t really have anything I don’t like about the game Chromatic Aberration does have some bugs at the moment. 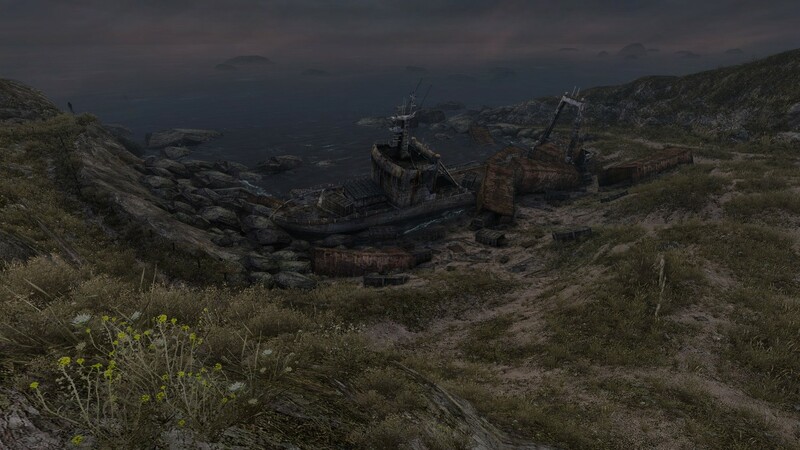 The gameplay completion percentage currently stops at 75% even once you finish all of the stages and the leaderboards won’t connect. Hopefully these things get fixed soon. 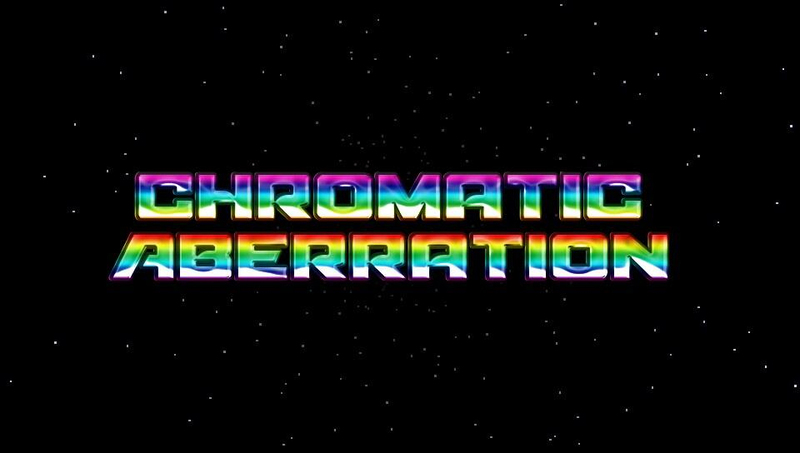 Chromatic Aberration is a great game with a cool twist on the structure of platforming games. It’s a game that forces you to stop and think ahead to consider how the layout of the stage will change as you progress. Better yet the game gets rather challenging towards the end while also getting some decent mileage out of the core mechanic. I honestly can’t recommend this one enough. I now know what 'chromatic aberration' means.